A gluten-free dark chocolate bundt cake featuring a pistachio layer that is amazing! Yes, Bob’s Red Mill paid us to make this chocolate pistachio cake. They did not, however, require us to gush nonstop about how much we love them. That’s all us! Find our full disclosure here. 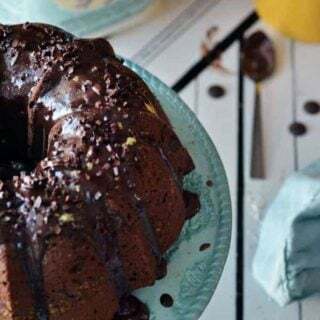 Katie says a bite of this classic chocolate pistachio cake tastes like a ball of fudge; the 16 year old speaks truth. 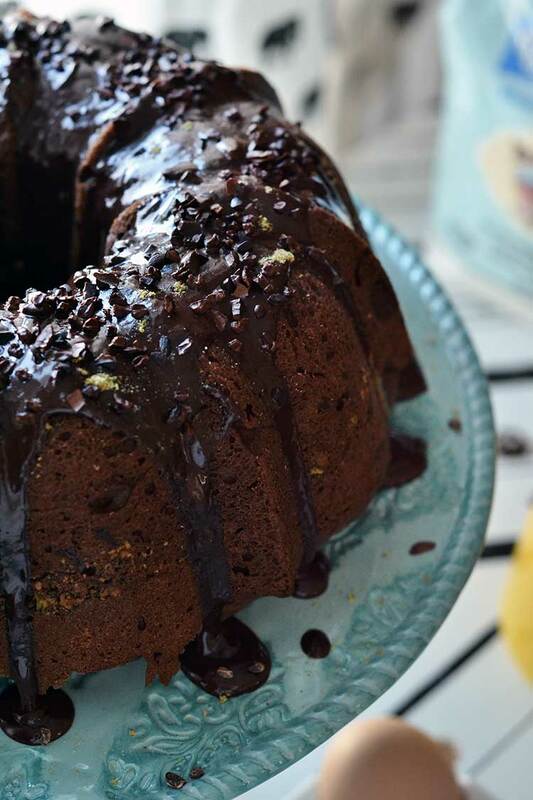 Dark chocolate bundt cake with a hidden stash of pistachio goodness. It sounds hard and tricky but it’s neither of those things. And gluten-free baking isn’t hard or tricky either. Did we mention that this is gluten-free? It is. Look 3 photos down the page. See that flour? 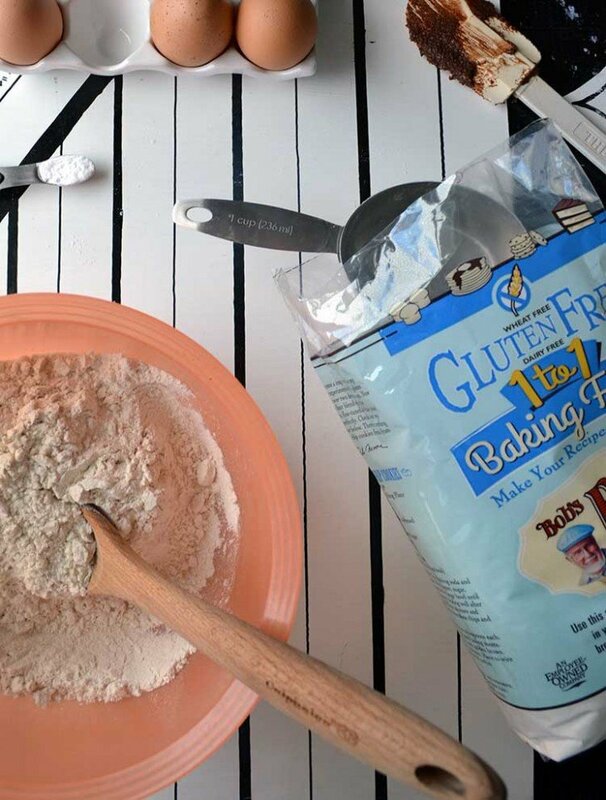 It’s Bob’s Red Mill gluten-free baking flour and I use it 1 for 1 in my baking recipes. Nothing hard, nothing tricky about that. For realz. If you are a gluten-free kitchen you NEED to test this stuff out, it makes your life sooo much simpler. You can stop stressing about the various substitutions and adaptations you need for your recipes to be gluten-free. Don’t misunderstand me, gluten-free baking is absolutely an art form to be learned and mastered. When you learn gluten-free baking, you learn the science and the how of baking. You learn the ways ingredients react to each other and what role they perform in a recipe and learning that is so, so valuable! You can take all of that fantastic information and apply it to ALL your baking, gluten-free or not. 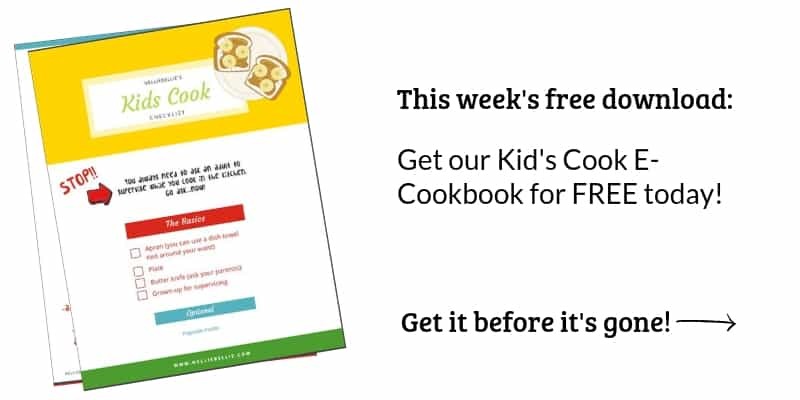 Now let’s skip ahead to the part where you just want to make your favorite recipe that calls for all-purpose flour but you don’t want to figure out all of the necessary adaptations and subs to make your favorite recipe gluten-free. Guys, this is the secret. 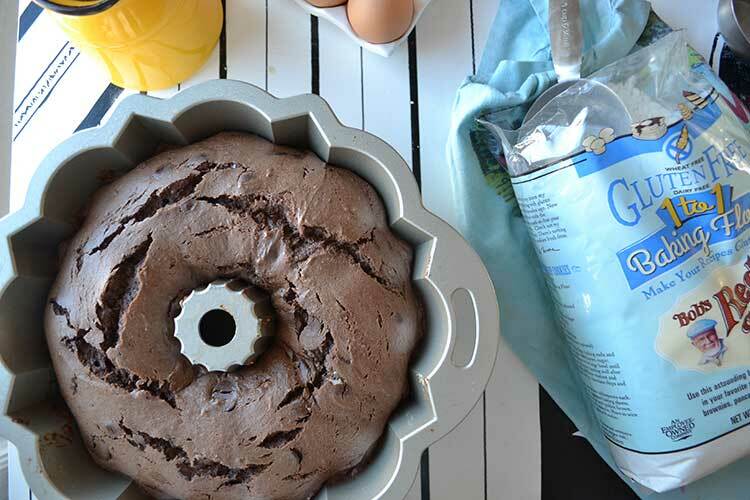 My chocolate pistachio cake is now gluten-free thanks to this flour, with no special changes or adaptions. 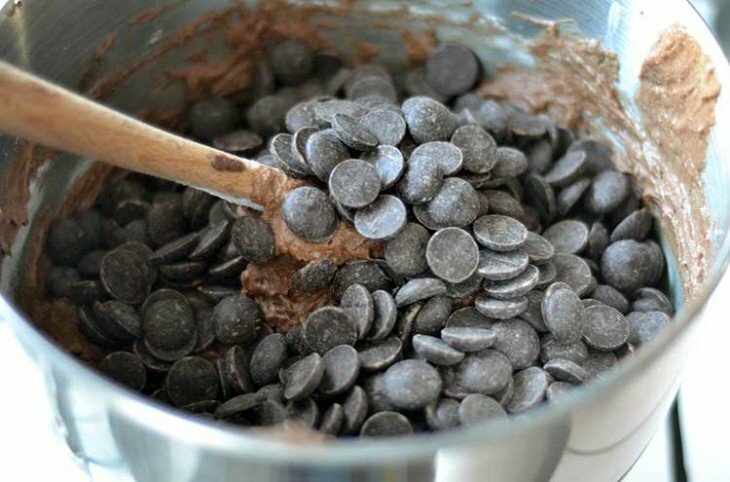 I prefer using dark chocolate in almost all of my baking because of the iron and better nutrition dark chocolate has versus semi-sweet. Ethically sourced dark chocolate is also easier to find than milk chocolate for some reason. I also kinda adore the flavor! 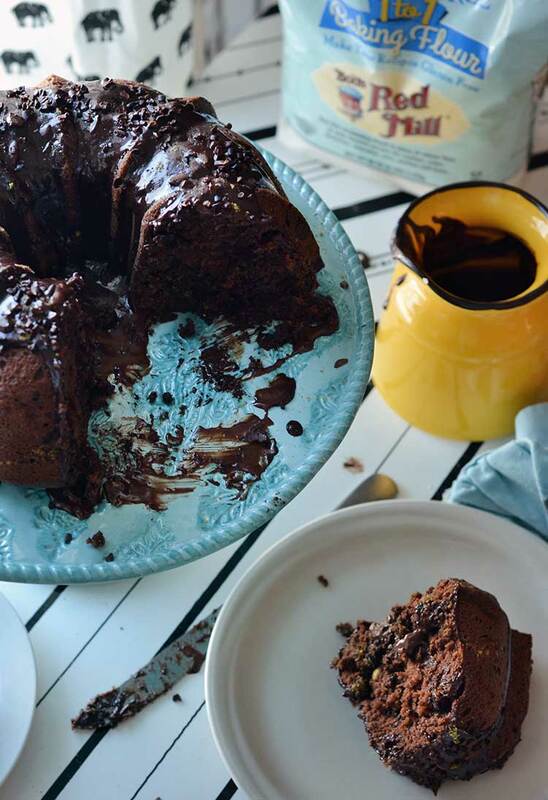 And in cakes, dark chocolate makes for the most intense chocolate flavors. 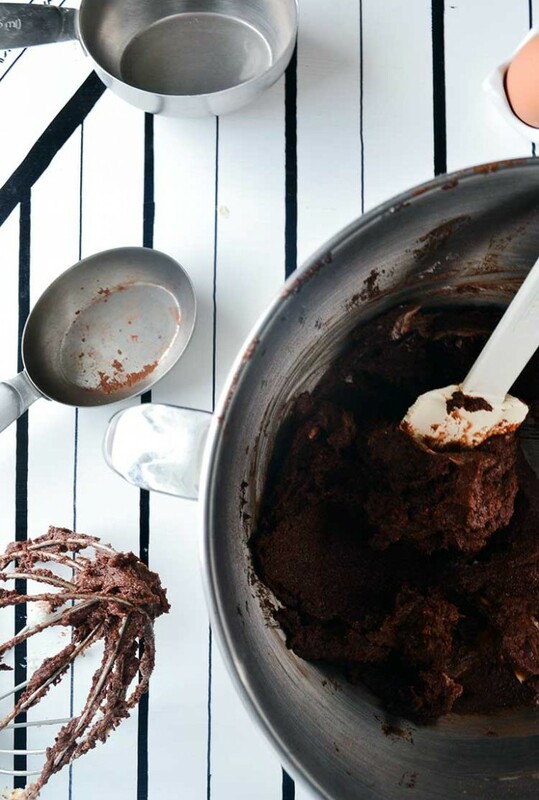 If you can find dark cocoa, use it in this recipe. If not, traditional cocoa will work well too. If you have a coffee grinder, it will work great for chopping your nuts to a fine chop. I put my nuts in with my coffee grounds and grind. Fast and easy. Of course, give the grinder a bit of a rinse afterwards so you don’t end up with pistachio flavored coffee the next morning. Hmmm, I wonder what ground almond in my coffee grounds would taste like? 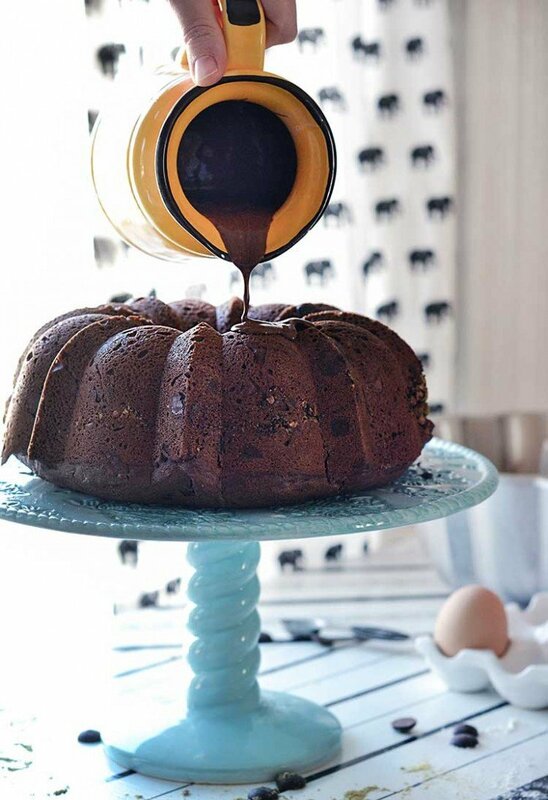 There is something so lovely about the simplicity of bundt cakes. Maybe it’s that they look like a giant donut? I’m not sure but whatever it is…I like it. Simple. Beautiful. Delicious. 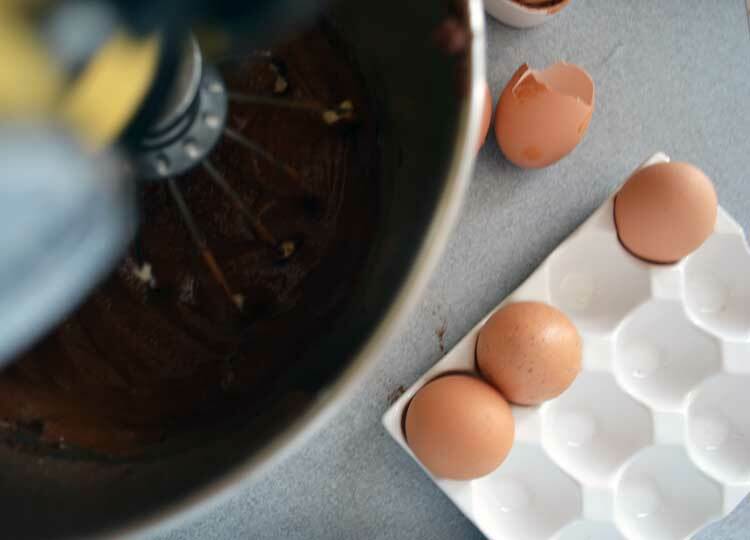 Because gluten-free cakes can be a bit dry, don’t forget to add a moist component to the top. You won’t regret it! I think a chocolate ganache is just the right touch. It isn’t fancy, but it sure does the trick of adding moisture, sweetness, and a bit of class. A simple whipped cream and chocolate syrup garnish would be delicious, as well. No need to over-think or overwork the simple things. Beat butter, sugar, and cocoa until light and fluffy. In another bowl mix flour, baking soda, and salt together. Add flour mixture and buttermilk to the butter mixture in turns until combined. Do not over-beat. Stir in vanilla and the dark chocolate. 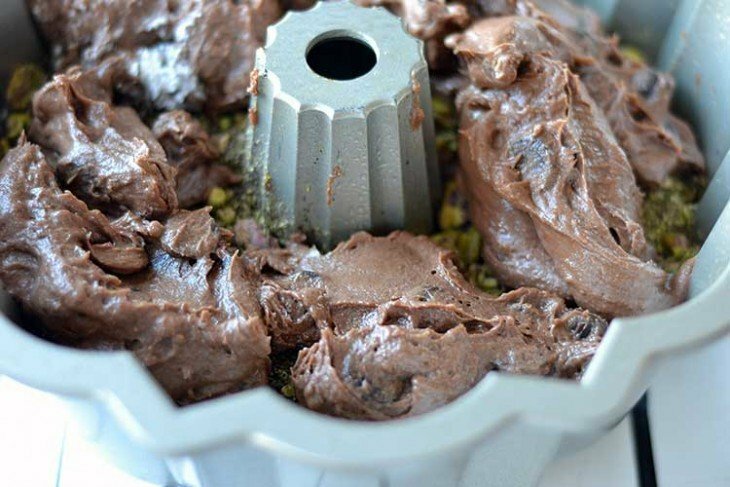 Mix together in a small bowl the pistachios, ground coffee, and semi-sweet chocolate. Pour 1/3 of cake batter into a well-greased bundt cake and sprinkle half of the pistachio mixture on top. 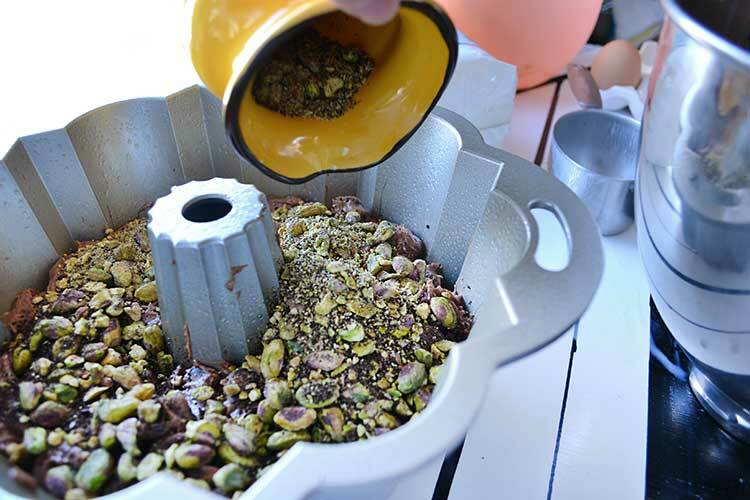 Repeat with another 1/3 cake batter and the other half of the pistachio mix. Top with remaining cake batter. Bake at 325 degrees for 1 hour or until toothpick comes out clean and the cake is pulling away from the sides. Gluten-free baking doesn’t have to be scary. I suggest a simple change of substituting all-purpose flour for Bob’s Red Mill gluten-free baking flour while you are getting your feet under you in the gluten-free baking world. Once you start to learn the various recipes, flours, and substitutions, Bob’s Red Mill is also the company that has THE BEST flours, mixes, and more for gluten-free or not. Bar None. The best. For real. They’ve been hidden stars of this blog for a long, long time. It’s about time to give Bob’s Red Mill the spotlight. Is the 12 oz. a measurement of the pistachios before are after they are shelled? Yippee Skippee for gluten-freeeeeeee! I love seeing new GF recipes. Now, if you can just come up with dairy, egg, and sugar-free too … ;) I know, tall order. We’re working on it! Coming soon (ish…)! WOOHOO! You guys are the best.